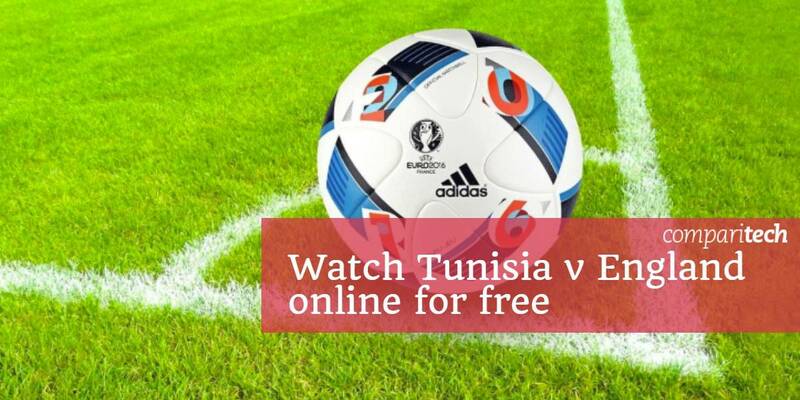 Are you looking to stream England vs Tunisia online along with other games in the 2018 Russia World Cup? You’re in luck: the FIFA World Cup is streaming live in HD on numerous platforms, and in many cases, is free to watch. 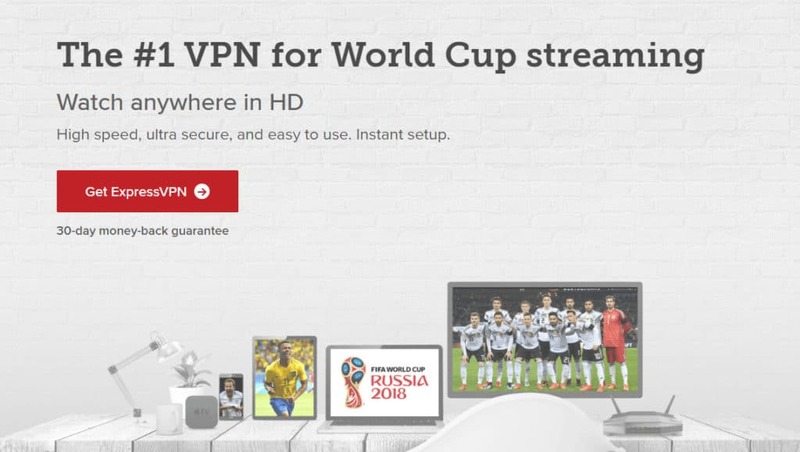 Although World Cup broadcasters often region-lock their videos, we’ll explain how to bypass this with a Virtual Private Network (VPN) so you can watch each game live from the UK, the US, France, Germany, Russia, the Middle East, or anywhere else in the world. On June 18, we’ll see Group G’s Tunisia and England clash at the Volgograd Arena in (surprise) Volgograd. The match is set to kickoff at 7PM BST (11AM PST/ 2PM EST). Check out our list of sources below to make sure you don’t miss the Tunisia vs. England game, or any other 2018 World Cup match. Remember, most of the following broadcasters have mobile apps so you can watch from your phone or tablet if you’ll be away from home. The 2018 Russia World Cup is being shown all over the world, but each country has its own official broadcasters. 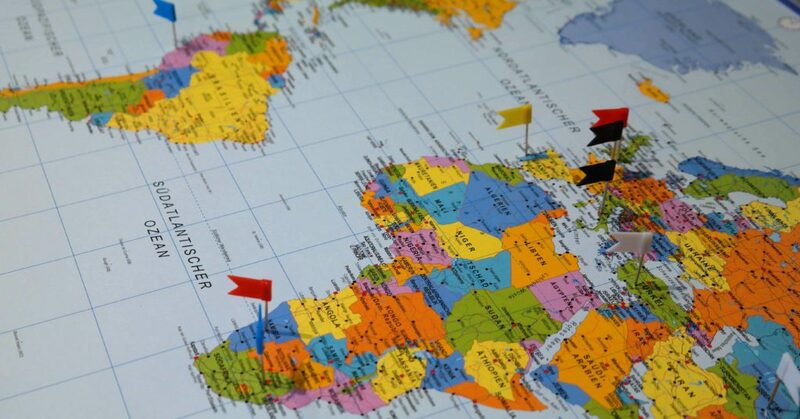 Below, we’ve listed a few places to watch the World Cup from within the major English-speaking countries. You should note that while some sources are free-to-watch, others require a subscription. These usually offer more comprehensive coverage, 4K streams, or foreign-language commentary, though, so if you’re a major soccer fan, you might want to consider signing up for one. Does every country have a free World Cup stream? Sadly, no, but many do. In this section, we’ll explore World Cup streaming options for the larger English-speaking countries. Australia has a soccer TV show called The World Game, shown on the SBS network. You’ll actually be able to watch 26 games (including Tunisia vs. England) live and free of charge on The World Game’s website. This site is only available to Australian users, however, so you’ll have to connect your VPN to an Australian server to watch from other countries. We recommend using ExpressVPN for this; it’s a fast, secure VPN with excellent unblocking capabilities. You’ll also have to register on the site, but this doesn’t require any payment, just your email address. British World Cup fans are particularly lucky since the entire tournament will be shown for free. Both the BBC and ITV have the rights to show half of the World Cup matches, so any given match will be available on one service or the other. You could also watch via TVPlayer.com, a site which hosts live streams for both BBC1 and ITV. You need a UK TV License to watch these services legally, but there aren’t actually any verification measures in place. Even if you have one, though, you’ll still need a VPN to watch from different countries. We recommend ExpressVPN as it’s excellent for streaming, easy-to-use, and one of the few remaining VPNs that can consistently unblock BBC iPlayer. THREE MONTHS FREE: Get an extra three months free with ExpressVPN’s annual plan. This comes with a 30-day money-back guarantee so you can watch the entire World Cup and claim a refund if you decide not to keep using the service afterward. The sign-up process is quick and easy. Simply choose your subscription package (1 month, 6 months, or 12 months), and pay for the subscription. ExpressVPN offers a 30-day money-back guarantee, which will cover the majority of the World Cup schedule. Should you choose to keep the service afterward, you can, but you can cancel easily if you find it isn’t to your liking, without any penalty. There’s just one English-language Russia World Cup broadcaster in the US: Fox Sports. You can access its live-streaming service, Fox Sports GO, if your cable subscription includes Fox Sports. Unfortunately, this service requires users to log in with their cable provider’s details, meaning you can’t sign up without a US-registered address or payment method. If you’re vacationing in the US, but want to watch streams from your home country, you can do this with a VPN. It’s important to remember that the rules don’t change just because you’re in a different place; you’ll still need a TV License if your country requires one to watch live TV broadcasts! You can also watch the 2018 Russia World Cup on Kodi, but you’ll have to be careful. Make sure to use only official addons and avoid any that seem too good to be true. Often, these addons host unlicensed, low-quality streams that have a tendency to go down mid-game. With so many free, legitimate options, there’s really no need to use unofficial addons. Canadian soccer fans have three options for watching Tunisia vs. England, as well as the rest of the World Cup. TSN, CTV, and RDS will all be showing every FIFA World Cup match, but each requires you to login with your cable provider’s details before you can watch. If you don’t have cable, that’s not necessarily a problem. TSN allows you to sign up directly for CAD$24.99 a month. On the other hand, this is a pretty high price for a single channel. Once registered, you’ll be able to download the TSN Go mobile app and watch every World Cup game while away from home. Both CTV and RDS have their own mobile apps (CTV Go and RDS GO, respectively). Like TSN, RDS offers an over-the-top subscription for CAD$24.99 a month, but CTV has no such option. You should also note that RDS will broadcast the games with French commentary, while CTV and TSN will be in English. If you’d like to watch Tunisia vs. England, or any other World Cup matches for free, The World Game might be your best option. It won’t be showing every game, but you’ll at least be able to watch half the tournament without paying anything. There are two main Australian World Cup sources: the aforementioned The World Game site, and Optus Sport. The good news is that you can watch high-profile matches for free on either service. If Optus Sport isn’t included in your mobile or broadband package, or if you’re not an Optus customer, you can sign up for A$15 a month. This grants you access to every game of the 2018 World Cup, but best of all, it includes a two-week free trial. The World Cup runs for a month, though, so you might have to use a different service once your trial period has expired. The 2018 FIFA World Cup is being shown all over the world, so you’re not just limited to English-language commentary. Whether you want to watch the World Cup in Spanish, German, French, Arabic, Portuguese, Russian, or Dutch, there’s bound to be a source you can use. We’ve included a few below, but if your country isn’t in our list, you might want to check out the official list of World Cup broadcasters. It’s important to remember that some of these services are free to use and might not show every game of the Russia World Cup. There’s almost certainly a premium service available in your country offering full coverage in your native language, so if you don’t want to miss a single game, this might be something to consider. Also, just because a service is free doesn’t mean that it can be easily watched from anywhere. You still may have to connect to a VPN in the correct location before you can watch anything. Be sure to choose a VPN that has multiple servers in the target country, and try streaming live content before the games air to identify any buffering or lag issues ahead of time.